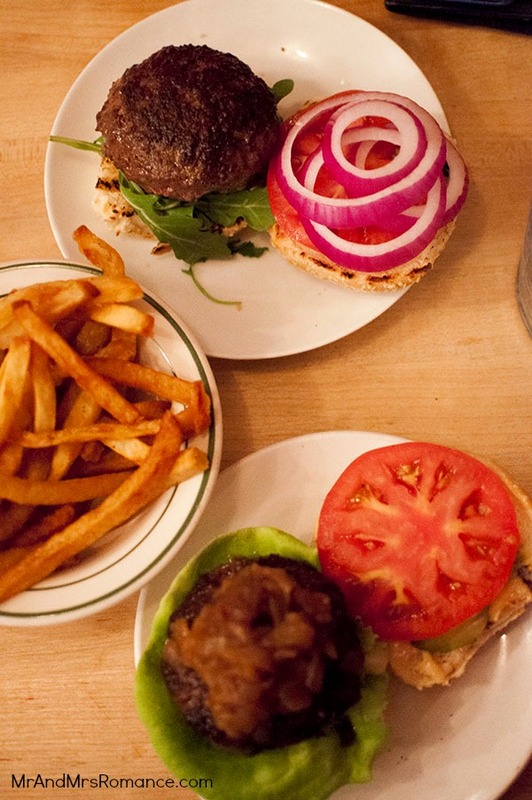 Where is the best burger in New York, NYC? 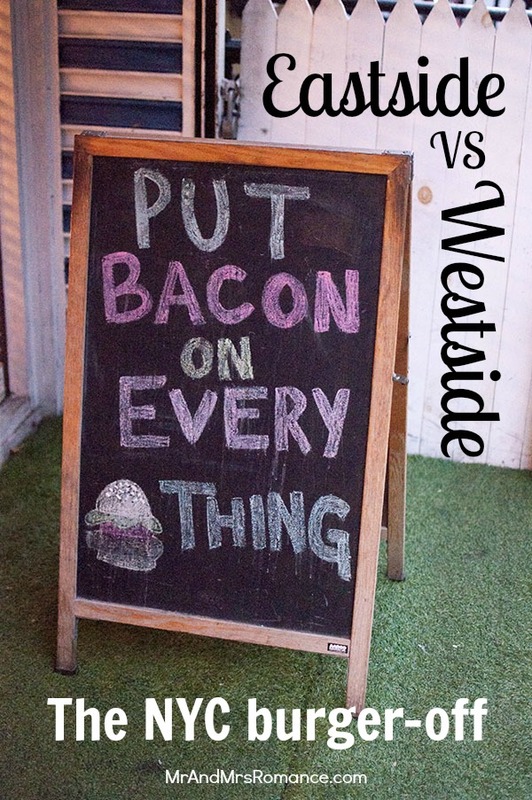 Westside vs Eastside – it’s a New York burger-off! New York City really does have everything. But how are its burgers? 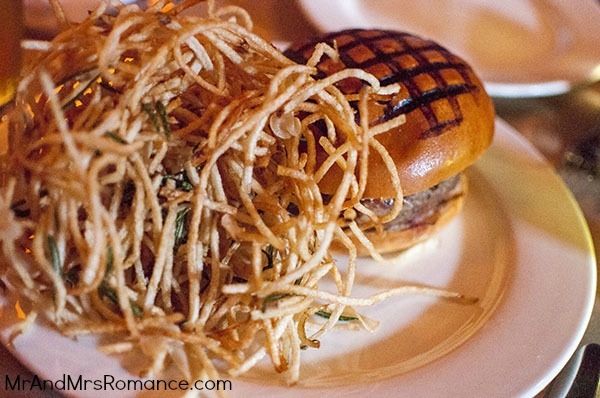 A city’s burger – after all – is the window into its culinary soul! Mrs Romance and I decided to check out two places that had been recommended to us for their patties. It proved to be a journey that would take us from the West Village to East Village – across the southern end of Manhattan Island. We would venture along the notorious Christopher Street (someone we know got mugged there at gun-point) and almost the full length of 9th Street. On our way we have a chance encounter with a West Village local who, though clearly mad, was a very nice lady. Hilary Swank used to live next door to her and ol’ Hils would have a ladder from her back garden into Barbara’s so she could avoid the paparazzi. We began in the West Village – mostly because that’s where we were staying. 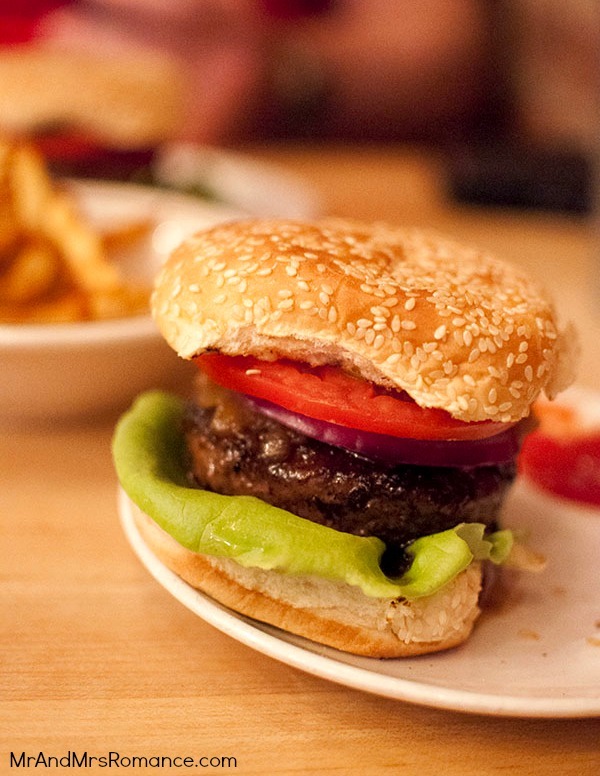 The Spotted Pig on 314 W. 11th Street, is well-known in the area for its burgers – among other things. Comes with a huge pile of super SUPER skinny fries that look more like string than potato. The fries are really good but they’re kind of hard to eat. They twist up and fall out of your fingers and they’re too small to work well with a fork. 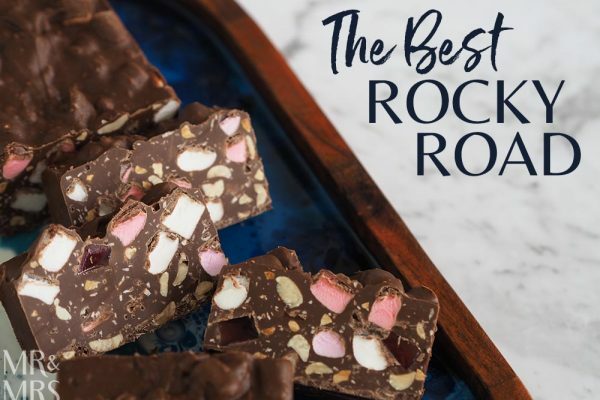 But they’re salty and delicious and you just can’t stop stuffing them into your fat mouth! Even better, they come with deep-fried rosemary leaves and fine slivers of deep-fried garlic! The burger was supreme. Well-rested, it wasn’t messy and my plate was virtually dry by the end of it. The meat was cooked perfectly – medium-rare to order. 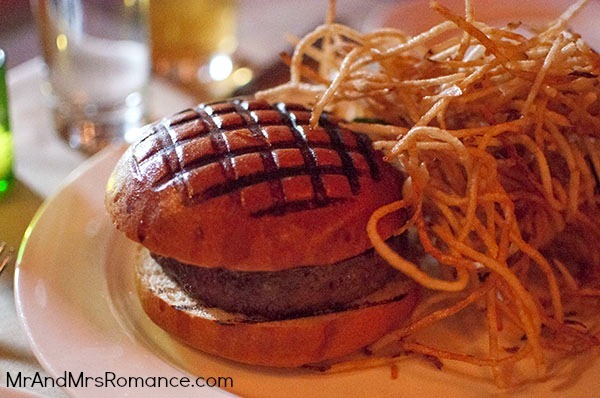 The gruyere cheese was sharp and buttery and the brioche bun was soft, sweet and spongy. The only thumbs-down: it doesn’t have any other filling or garnish. No pickle, no tomato, not even any lettuce. Just meat, cheese and a whole lot of happy! Trekking across Manhattan to the East Village, we avoid all gun menace but did bump into Barbara – dear mad Barbara. She’s the pensioner I mentioned earlier who lived next door to Hilary Swank. Barbara has had her rent frozen at about $1700 since 1980. She also has a garden. In Manhattan. In the West Village. 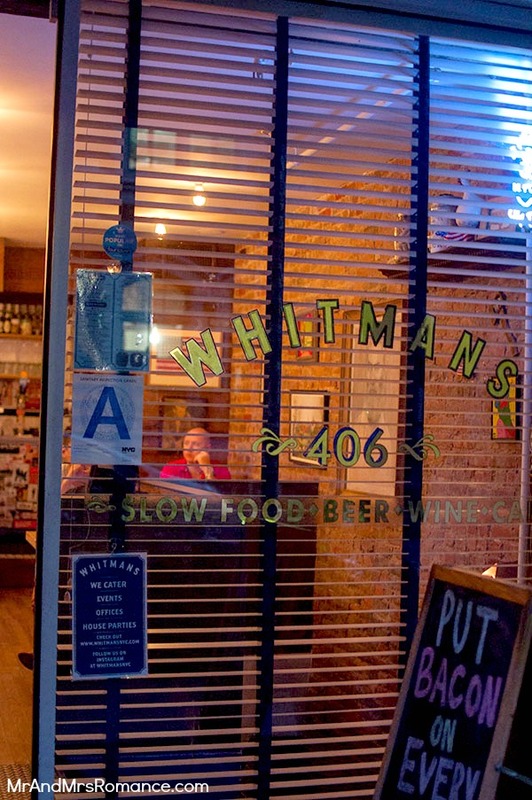 Anyway, Whitman’s is at 406 East 9th Street, East Village and is a burger joint. That’s all it does. We were excited. Mrs Romance went for a Juicy Lucy and I had a Bluicy (with blue cheese and now discontinued). Both burgers were $11 each. The fries here were good – a few stuck together but on the whole they were thick, tasty and moreish. I stopped Mrs R ordering sweet potato fries. Regret. The Juicy Lucy lived up to her name big time! The mess on Mrs R’s plate was almost visceral. The Bluicy was much less messy but very tasty. These burgers were unusual in that the cheese was stuffed inside the patty, so as you bite into the meat, you’re greeted by an oozy cheese pocket. Lovely stuff! 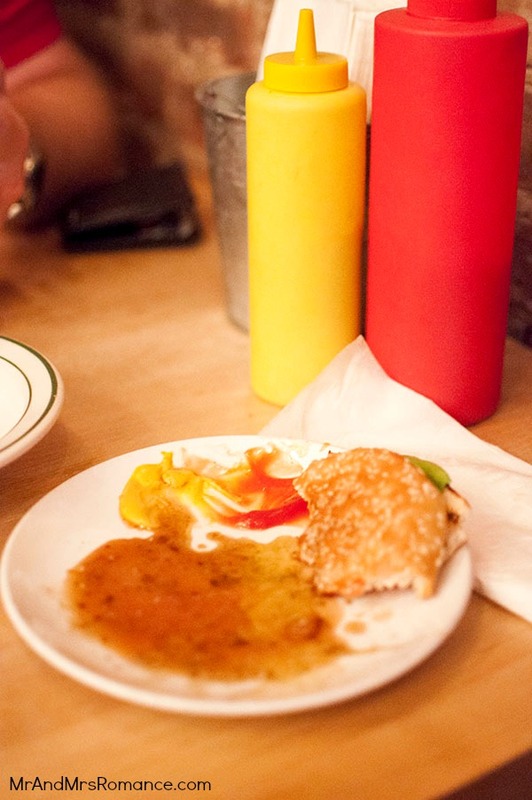 Both burgers came with garnish – lettuce, tomato and pickle. The Juicy Lucy also had an excellent onion relish and the Bluicy had an enormous slice of red onion with it. Over all, we both preferred the Spotted Pig but for a simple burger joint, Whitman’s provides a stomach-gurglingly good meal. Also, the Spotted Pig has a bit more of a budget behind it; I mean, it is owned by Jay Z after all. 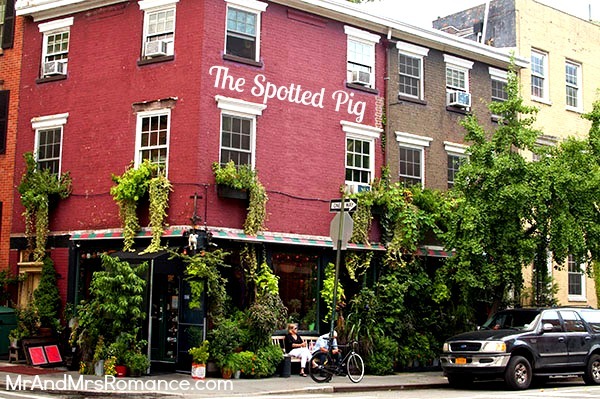 Definitely putting the Spotted Pig on my must visit list for my upcoming trip to NYC! 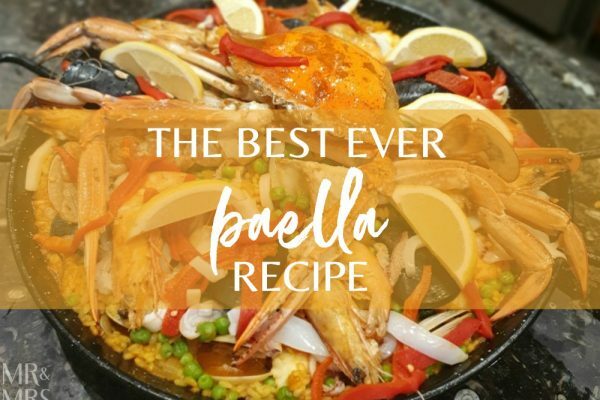 Have bookmarked all your wonderful tips – thanks guys!! We’re heading there for NYE, so will be freezing!! I’ve already noted down the bars you guys mentioned (although not so sure about a rooftop bar in the snow!! 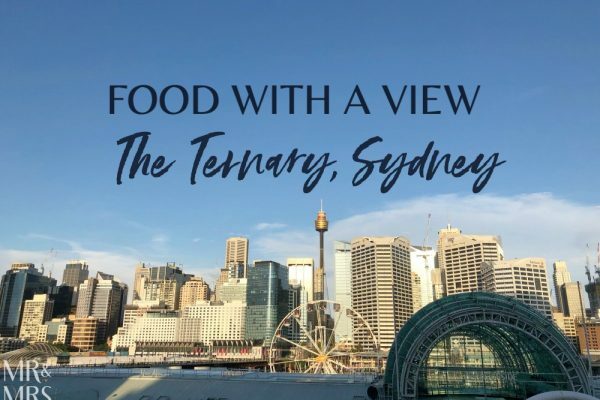 ), would love to hear more about your dining recommendations. Thank you! !